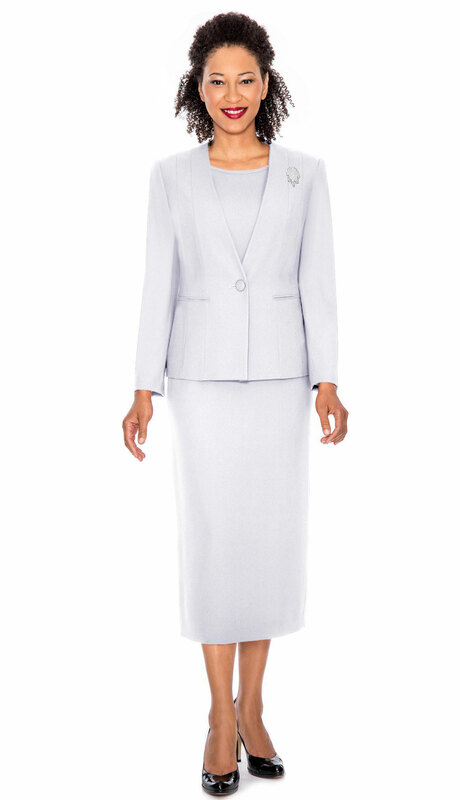 Year round church and choir group suits. 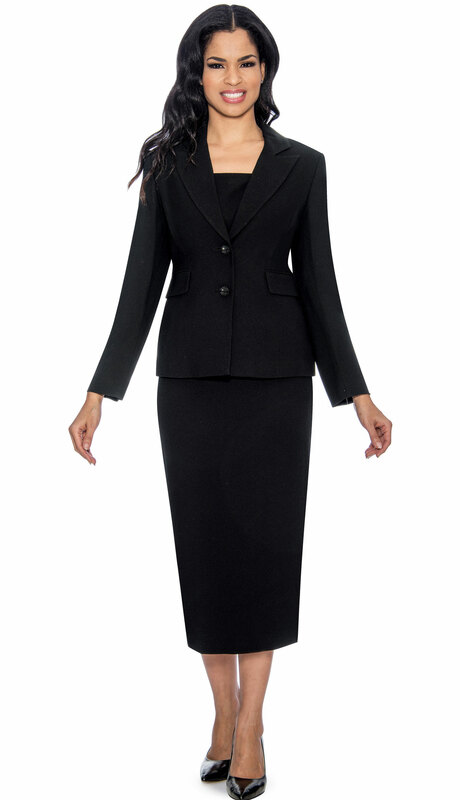 Call us for a special discount for group orders of 4 or more! All of our church & choir group suits travel very well and are in stock all the time. 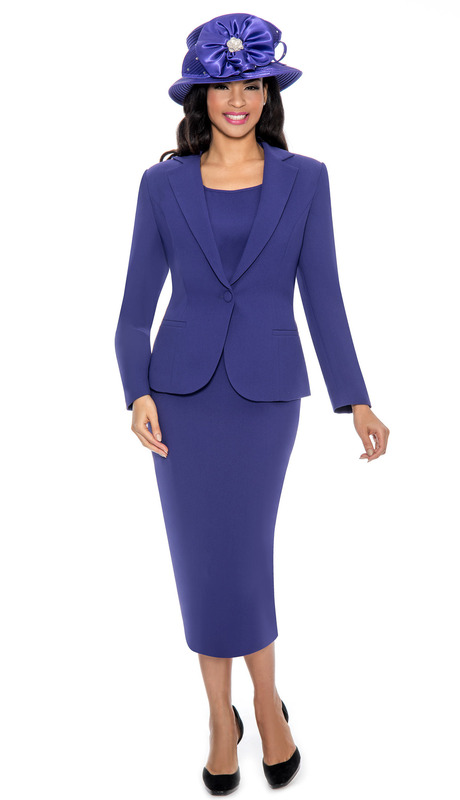 Two piece double breasted skirt suit. Two piece embroidered skirt suit. 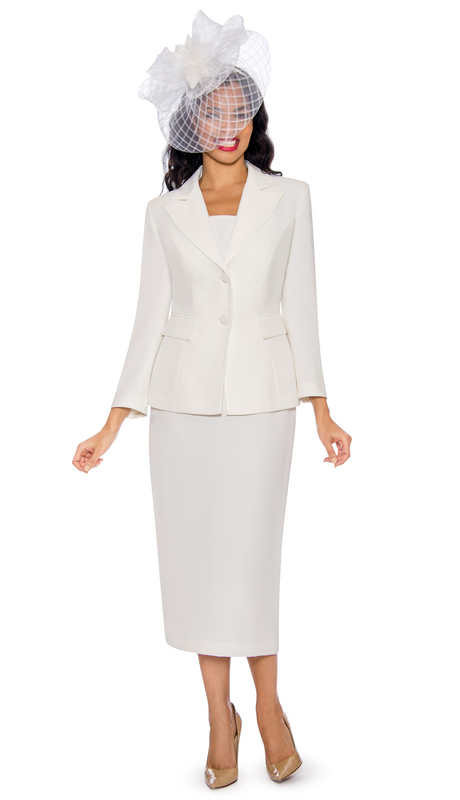 Three piece layered panel washable skirt suit. 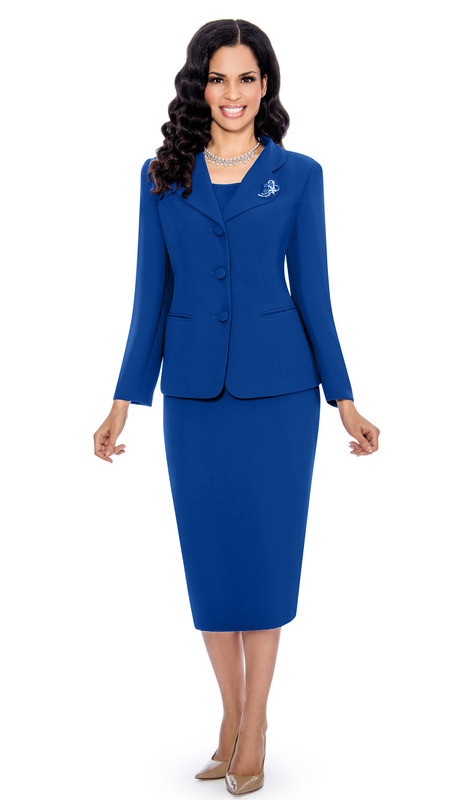 Three piece washable ladies church suit. 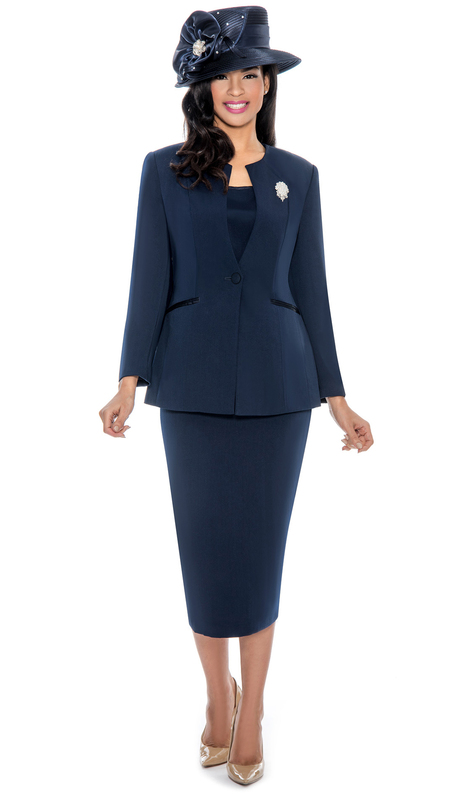 Two piece washable women's suit with bow. Two piece women's suit with layered peplum jacket, button closure, cascading rhinestones on shawl collar and skirt. 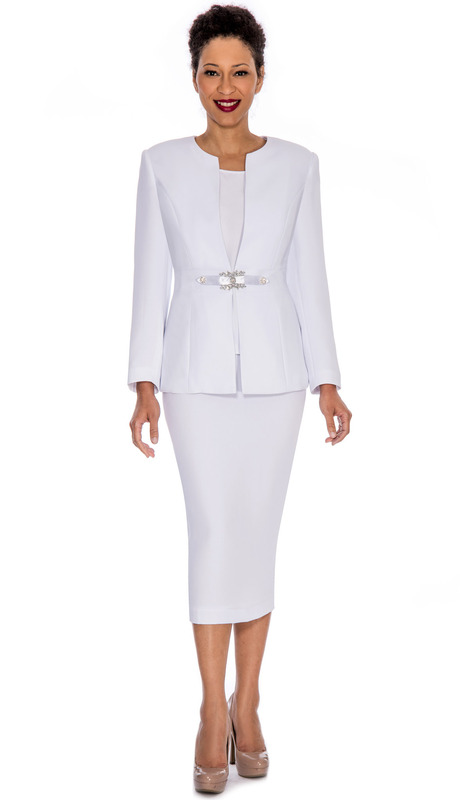 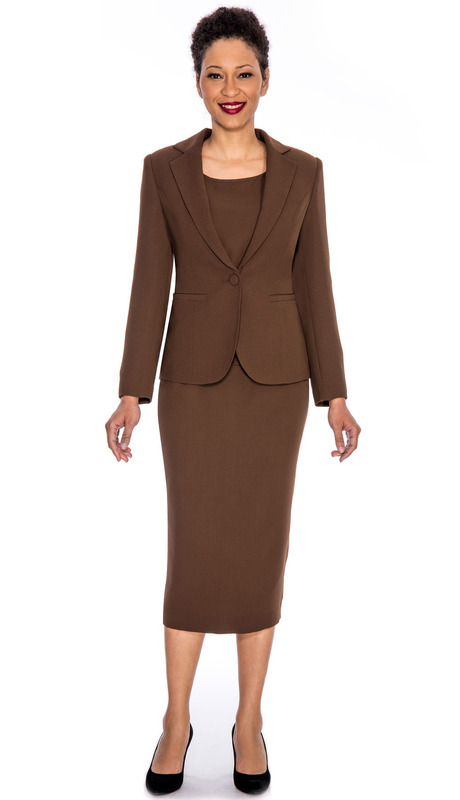 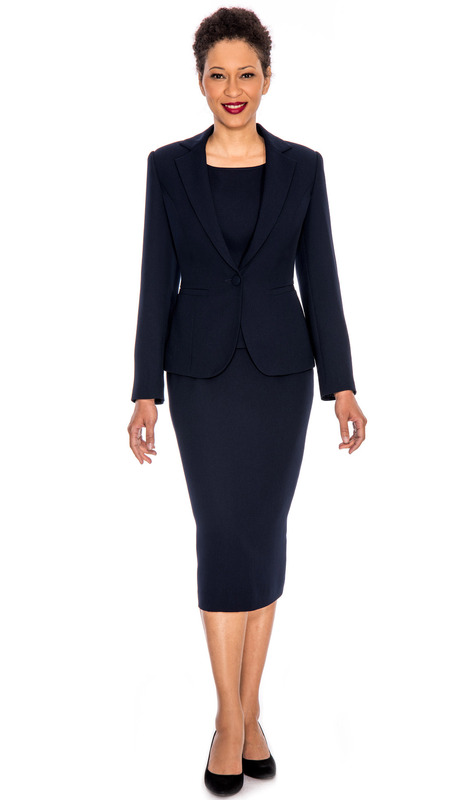 2pc Women's suit with two button closure jacket and skirt. 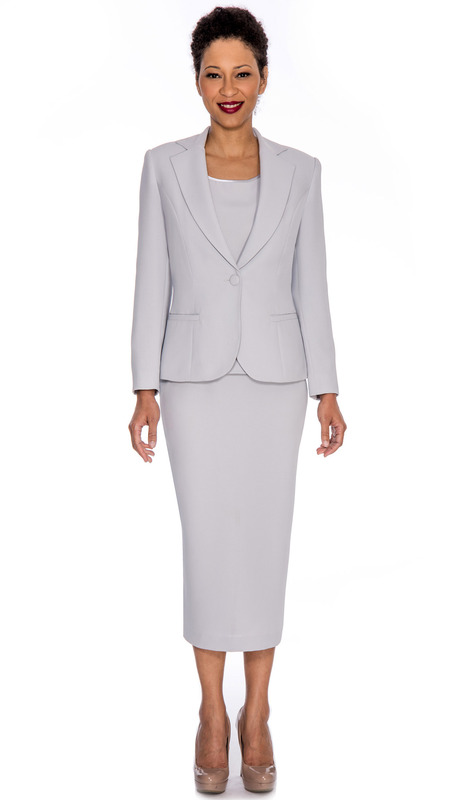 Machine washable. 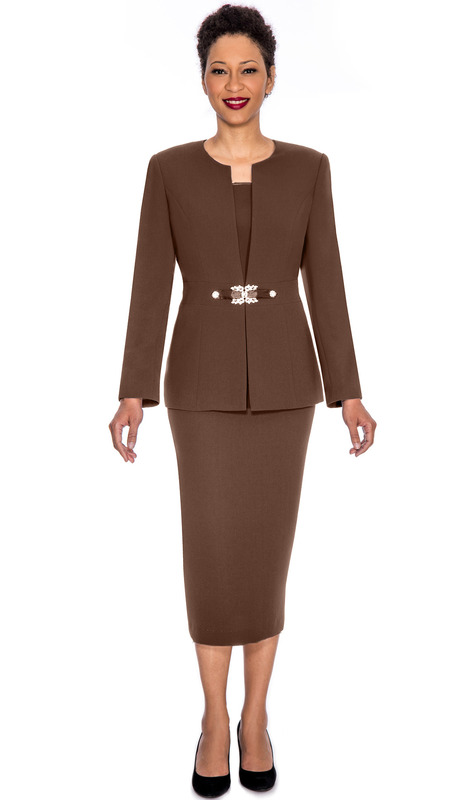 Two piece women's suit with 3 button closure jacket, skirt and rhinestone brooch. Machine washable. 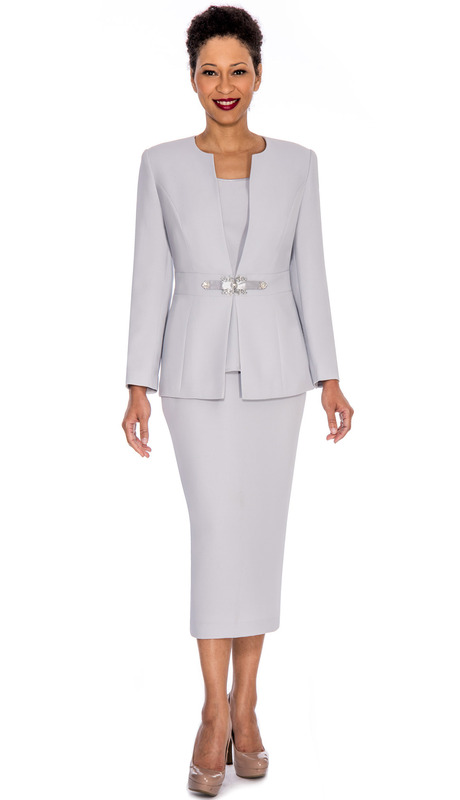 Two piece women's suit with two button closure, shawl collar, box pleat detail at hem of jacket with skirt. 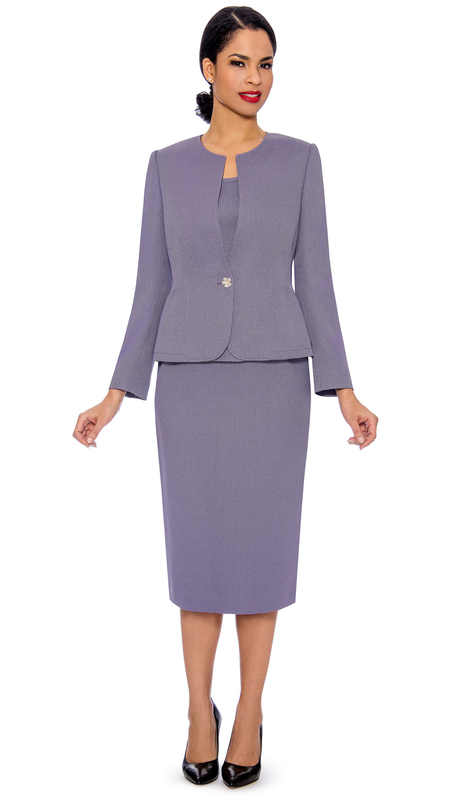 2pc Women's suit with two button closure jacket and skirt. 3pc Women's suit with button closure jacket, stripe piping detail, rhinestone brooch, cami and skirt (washable). 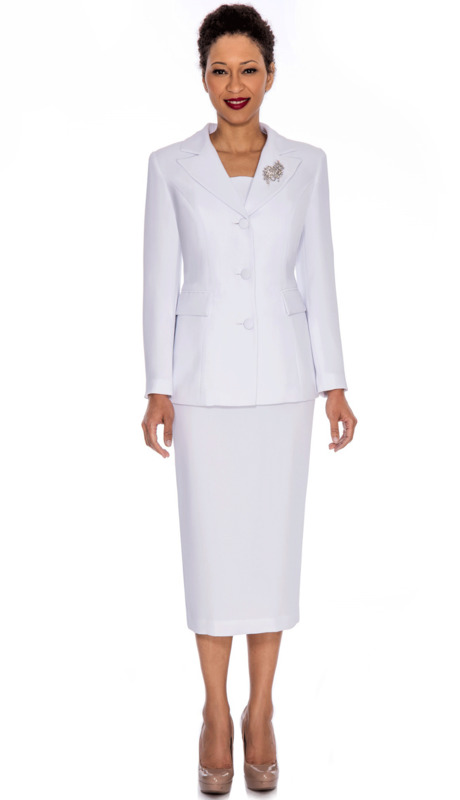 3pc Women's suit with rhinestone and ribbon buckle closure, jacket, satin piping cami and skirt. 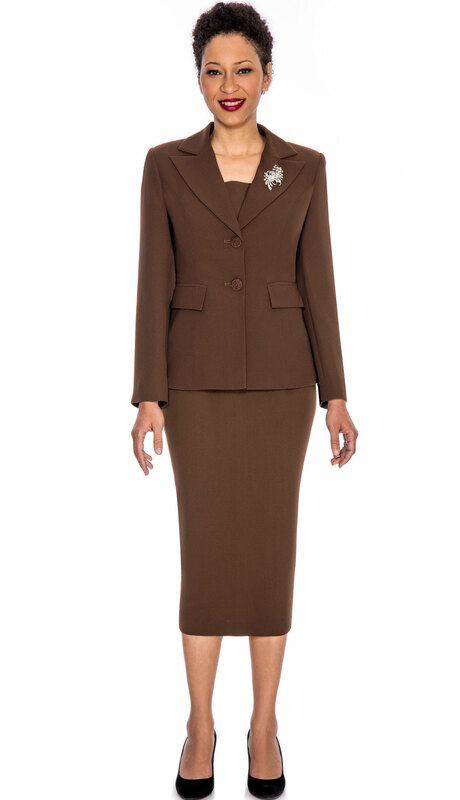 3pc Women's suit with 3 button closure jacket, cami, skirt and rhinestone brooch. Three piece women's suit jacket with button closure, rhinestone brooch, jacket, cami and skirt. 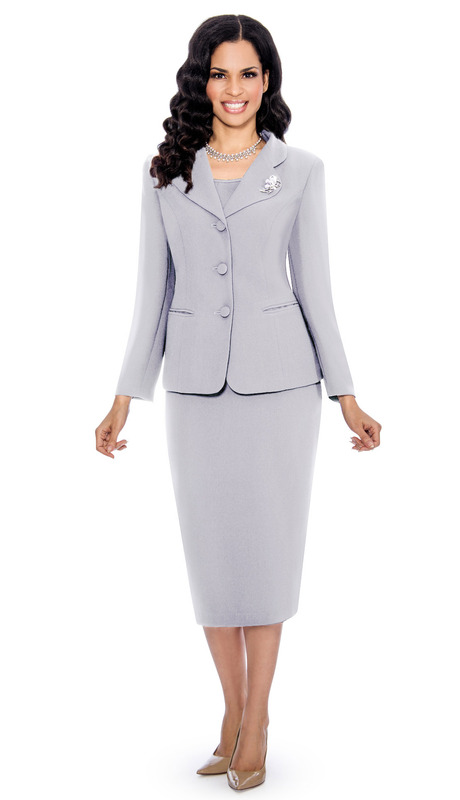 2pc Women's suit with 3 button closure jacket, skirt and rhinestone brooch. 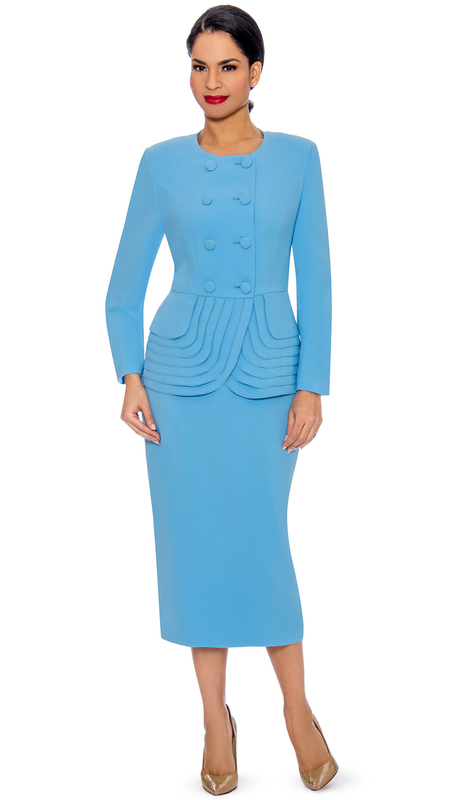 machine washable. 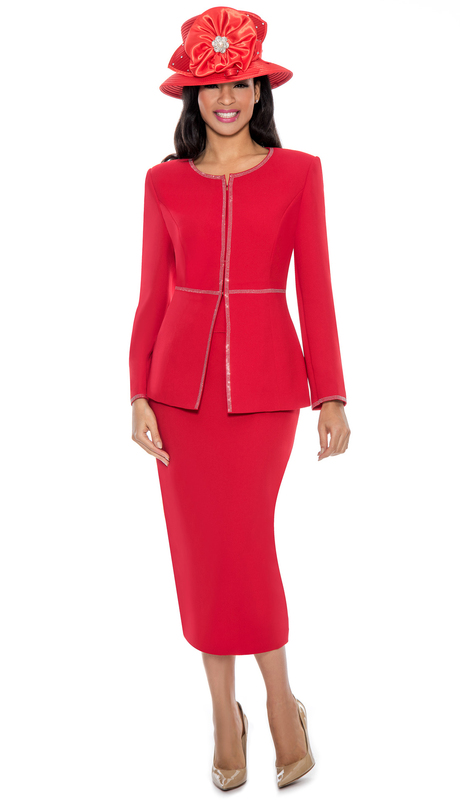 1pc Ladies Church Dress, paneled cut, fit and flare. 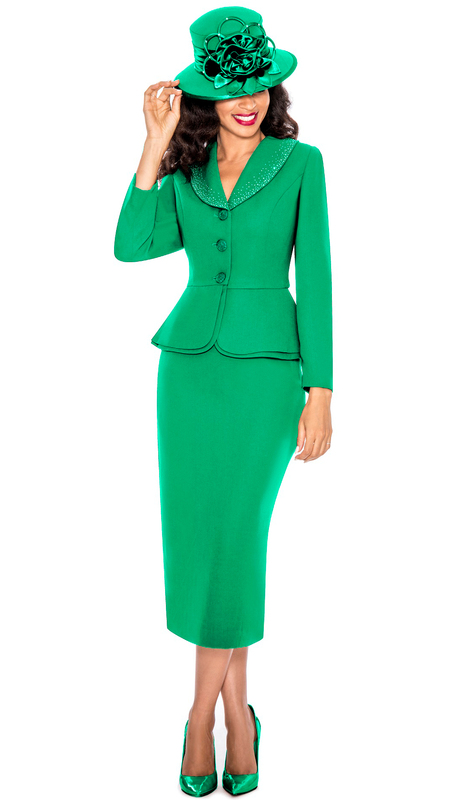 Washable. 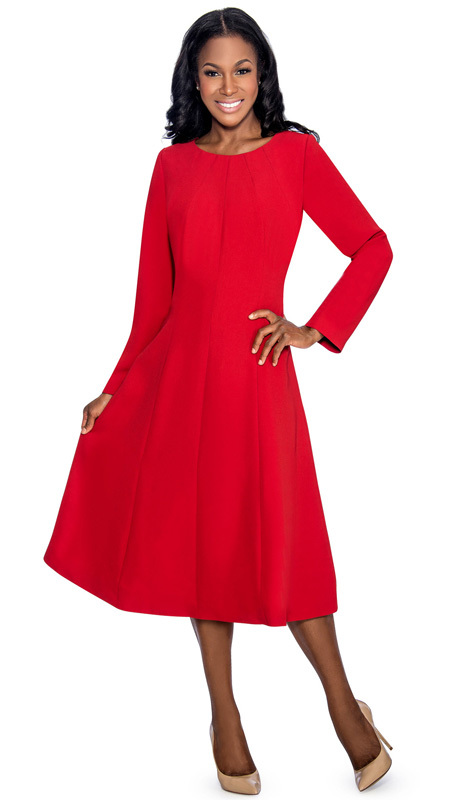 1pc Ladies Church Dress, paneled cut, fit and flare.